The3dForce: Who are the real wealth creators? 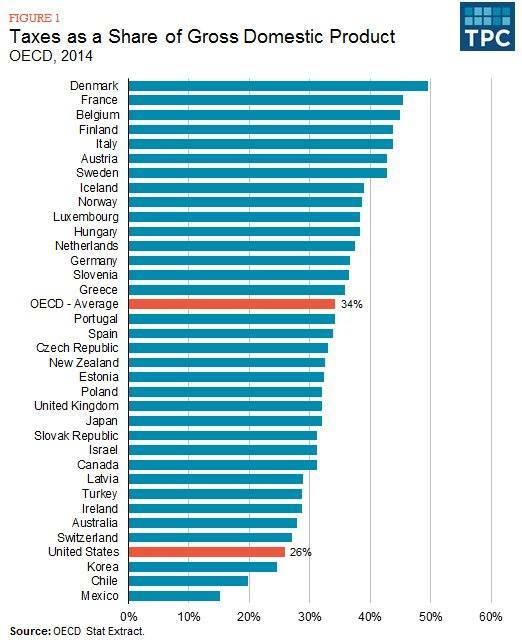 "This morning Trump tweeted: "We are the highest taxed nation in the world - that will change." And the wealthiest 1 percent in the U.S. pay the lowest taxes as a percent of their income and total wealth of any country anywhere – and lower than they’ve ever paid even in the U.S.
Once again, Trump and the Republicans are dealing with a non-problem, while ignoring the biggest problems. Let’s use our brain to do what it is supposed to do, i.e. think. Imagine that one day all WallStreet brokers disappeared, the NY Stock market isn’t open, all bankers are gone, too. And everyone who owns more than a hundred million bucks is out. What would happen? Well, at first – confusion, chaos, even panic, but soon enough new people would come and make the wheels run. It would have been a bumpy ride, but at the end a new structure would be put in place and functioning. Now imagine that all low and middle level working folks are gone. No more baristas, drivers, nurses, teachers, professors, policemen, firemen, engineers, etc., etc. The world is left with only people who own more than $100,000,000. I am pretty sure, soon enough most of them would just die from starving. This mental experiment is an illustration of the important fact, that people who own a lot of money are NOT wealth creators. People who work every day helping each other and creating new things – food drinks, cloth, devices – those people are wealth creators. The only reason rich are rich is because they collect from everyone – from every single one – some of the wealth created by that one. And the portion they collect has been growing and growing – disproportionally, without any reasonable explanation. Simply because the rules have been bent in such a way that the most of the wealth created by people is taken away from them – the distribution of the wealth is being skewed greatly to the benefit of very few. And taxes play a huge role in this distribution. Not to see it means being blind, or bought, or brainwashed. Conservative Liberals – future Porgs of the political America (hopefully).